Every year on this Sunday, the Transfiguration of the Lord, I remember one of the worst sermons I ever preached. It happened eighteen years ago at Upper Ettingshall Methodist Church during the year Christy and I served in England. I stood before the congregation of seventy or so people and confessed that I didn't have a sermon. Instead, I asked them to close their eyes and imagine the story as I read one of the most mysterious, and glorious, of all Bible stories. The Transfiguration of Jesus is impossible to interpret. It is impossible to explain. Even this week, eighteen years after the sermon fail in England, I found myself reading sermons online. They all stunk. It just can't be done. Traditional preaching doesn't work. He's telling the story of Thomas, the questioning disciple who missed the first of Jesus' resurrection appearances. Thomas declares to the others, "Unless I see and touch him I will not believe." A week later, Jesus shows up and confronts Thomas. The amazed disciple proclaims, "My Lord and my God!" Jesus replies, "Blessed are those who have not seen and yet come to believe." Beuchner says: the eyes can only see the facts-- Jesus is alive, he's right there in Thomas' presence-- but they cannot see the truth. It's the truth that Jesus is our Lord and our God. Peter, James, and John are witnesses to a spectacular scene: they see it with their eyes. Jesus is transformed. They see his clothes bleached dazzling white; they see Moses and Elijah appear alongside Jesus. These are the facts. But the truth of the episode is hidden from them. Peter, reacting to what his eyes communicate to his brain, declares, "It's so good to be here! Let's pitch tents for you, Moses, and Elijah!" The narrator tells us what's going on with Peter: he said this because he didn't understand. But that's the whole point, isn't it? Understanding is not truth. Seeing is not always believing. A voice from heaven declares, "This is my Son, the Beloved. Listen to him!" God doesn't say See him! or Watch this! It's listen. Coming down from the mountain, Jesus tells the three disciples to tell no one what they have seen until he is raised from the dead. Confused, they descend the mountain, where they continue their ministry to the community. Peter, James, and John are more like us than we'd like to admit-- and I don't mean we tend to speak before we think or reflect. No, we are related by our inability to experience the holiness of God in all its glory. Our need to control, quantify, understand, or manipulate God into a place where our expectations are met is what drives our Christianity. We do not pursue holiness as much as we seek a faith that agrees with out perceptions of the world. When our delicate faith is challenged, we react with violence or we withdraw. The idea that God may be reaching out to us in a new way doesn't occur to us. This spiritual blindness, which we assume is faith, is a disease from which we require healing. Sometimes... Christ invites us up the mountain. The feelings Beuchner describes as an endless longing or a "homesickness" for Christ lead us to a newer, deeper relationship with Jesus. Sometimes a transfiguration needs to happen in us. The Transfiguration of Christ reveals God's glory; our transfiguration will also reveal God's glory, buried in each of us. This transfiguration is made possible when we learn to see with the heart. Ask yourself: whose form am I seeking? What in me, my church, my community, needs to be reformed? These inwardly-focused questions are at the heart of Lent, the 46 days of preparation for Easter which begin this Wednesday. 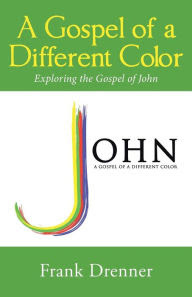 The other day I read the Introduction and first chapter of our Lenten study, Embracing the Uncertain, which deals with both the Transfiguration and the story immediately following it. The book invites us to live out a faith that includes questions and doubts. These feelings need to be shared with God and others, not hidden away. Certainty is not faith. If you haven't yet, sign up for a group-- they begin tonight-- or at least buy the book. Learning to see from the heart is worth the nine bucks and ten hours of your time! I can feel God's mighty power and God's grace. Capax Dei. Peter, James, and John were introduced to this gift on the mountain, but they would not realize it until after the Resurrection. It's available for us to experience fully this Lent. Learn to see from the heart. Eighteen years ago I asked the congregation to imagine the Transfiguration of the Lord, putting themselves on the mountain to behold the glory of God shining through his Messiah. It was a terrible sermon, at least in the traditional sense. But the experience of opening oneself to God's glory was meaningful. There were several positive comments shared, beyond the usual, and very British, "lovely service." Somehow, through the holiness of the divine, the light of truth shone for those folk at Upper Ettingshall. Not such a terrible sermon after all. As we approach the next 46 days, may you seek the glory of the Lord every day. Close your fact-seeking eyes, and see with your heart. Release your need to control your faith or to only believe what reflects your outlook. 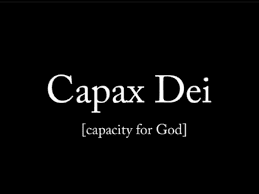 Open yourselves to the Capax Dei that is within you-- the capacity for God. Overcome your homesickness and longing for Christ. Open yourselves to transfiguration. In the name of the Father, the Son, and the Holy Spirit, Amen.